A brutal civil war has ravaged the country, and contagious fevers have decimated the population. Abandoned farmhouses litter the isolated mountain valleys and shady hollows. The economy has been reduced to barter and trade. 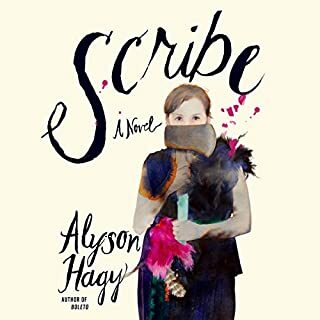 In this craggy, unwelcoming world, the central character of Scribe ekes out a lonely living on the family farmstead where she was raised and where her sister met an untimely end. 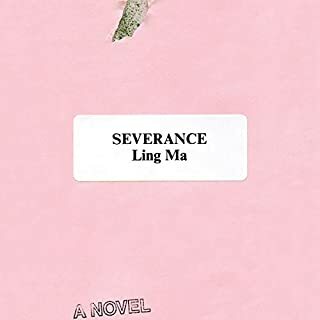 She lets a migrant group known as the Uninvited set up temporary camps on her land, and maintains an uneasy peace with her cagey neighbors and the local enforcer. Transporting the listener between a richly detailed past and a frighteningly possible future, The Heavens is a powerful reminder of the consequences of our actions, a poignant testament to how the people we love are destined to change, and a masterful exploration of the power of dreams. In an alternate society that values law and truth above all else, Laszlo Ratesic is a 19-year veteran of the Speculative Service. He lives in the Golden State, a nation standing where California once did, a place where like-minded Americans retreated after the erosion of truth and the spread of lies made public life and governance impossible. In the Golden State, knowingly contradicting the truth is the greatest crime - and stopping those crimes is Laz's job. In its service, he is one of the few individuals permitted to harbor untruths, to "speculate" on what might have happened. As good as Underground Airlines, probably better! When the seven-year-old grandson of a US senator vanishes in the woods behind his home, the only witness is his older brother, who whispers, "The lights took him," and then never speaks again. As the FBI and National Guard launch a massive search, the boys' grandmother Lynn Roseworth fears only she knows the truth. But coming forward would ruin her family and her husband's political career. Chopin's heart is carried back to Warsaw in secret by his adoring sister. A woman must return to her native Poland in order to poison her terminally ill high school sweetheart, and a young man slowly descends into madness when his wife and child mysteriously vanish during a vacation and just as suddenly reappear. Through these brilliantly imagined characters and stories, interwoven with haunting, playful, and revelatory meditations, Flights explores what it means to be a traveler, a wanderer, a body in motion not only through space but through time. Smart and inventive, an emotional and addictive novel that considers the elusive definition of happiness. Pearl's job is to make people happy. Every day, she provides customers with personalized recommendations for greater contentment. She's good at her job, her office manager tells her, successful. But how does one measure an emotion? Meanwhile, there's Pearl's teenage son, Rhett. A sensitive kid who has forged an unconventional path through adolescence, Rhett seems to find greater satisfaction in being unhappy. The very rejection of joy is his own kind of "pursuit of happiness". As his mother, Pearl wants nothing more than to help Rhett - but is it for his sake or for hers? Certainly it would make Pearl happier. Regardless, her son is one person whose emotional life does not fall under the parameters of her job - not as happiness technician, and not as mother, either. 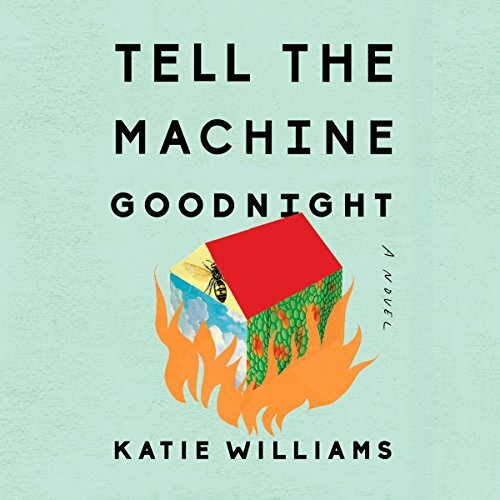 Told from an alternating cast of endearing characters from within Pearl and Rhett's world, Tell the Machine Goodnight delivers a smartly moving and entertaining story about relationships and the ways that they can most surprise and define us. Along the way, Katie Williams playfully illuminates our national obsession with positive psychology, and our reliance on quick fixes and technology. What happens when these obsessions begin to overlap? With warmth, humor, and a clever touch, Williams taps into our collective unease about the modern world and allows us see it a little more clearly. 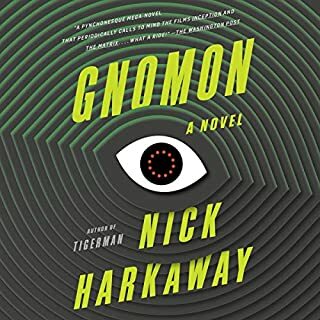 The premise for this story (a machine that can tell you what to do to be "happy," usually a list of totally strange and inexplicable things like "eat honey" or "don't slouch") is strange but simple, and serves as a backdrop for some truly well-rendered human drama. 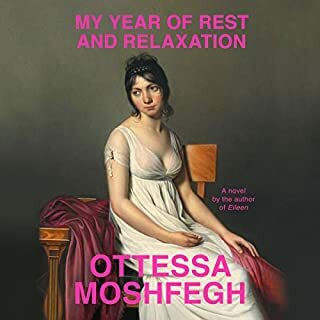 Pearl, a technician who uses the titular machine to tell people their paths to contentment, struggles to understand why her teenage son doesn't seem to want to be happy and healthy. Her efforts to get closer to him and to help him are heartbreaking and so relatable. Meanwhile Rhett, the son in question, is lost in a world that doesn't make sense to him, a character that anyone who struggled as a teenager, or just with the overwhelming strangeness and difficulty of living will understand. 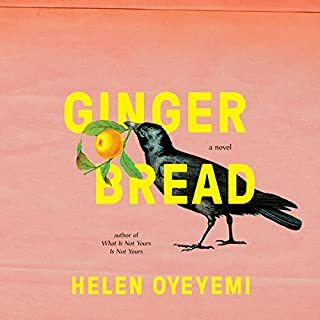 The cast of characters who populate the novel are unique and interesting, and I found myself won over (sometimes inexplicably) by every single one of them. It touches on so many relevant themes: our obsession with the quest to be happy, our reliance on psychology and technology, our struggle to make true connections in a world where we are all stuck in our own unique experiences. This is a bittersweet story, not simple enough for traditional happy endings, but I loved it. 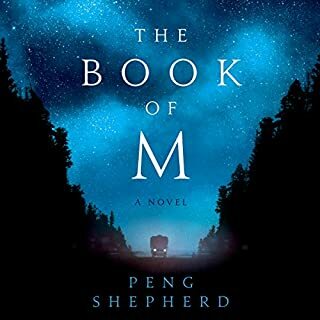 This book has a fascinating premise, and the premise and the characters develop throughout the story. This is not a page-turning roller coaster ride, more a series of related vignettes from the viewpoints of various characters. None the less, it held my attention and I look forward to more from this author.